Ryan Elliot is set to partner Hamilton filly Contessa Vanessa in Saturday week's Gr.1 Windsor Park Plate (1600m) at Hastings. Apprenticed to Graeme Rogerson, Elliot has a good record aboard the Group One-placed Bullbars filly, winning the Gr.2 Eight Carat Classic (1600m) on her at Ellerslie last season. Contessa Vanessa sat outside the leader Danzdanzdance in the Rating 82 1400m race at Ruakaka last start but couldn't get past the Gr.1 New Zealand Derby (2400m) placegetter in the sprint home. "It was a good run and she's come through it well. She's up there with the good horses," said Graeme Rogerson, who trains the New Zealand Oaks runner-up with his wife Debbie and granddaughter Bailey. Talented three-year-old Madison County will resume in Saturday’s Gr.3 Cambridge Stud Northland Breeders' Stakes (1200m) and trainer Andrew Forsman believes the son of Pins will need the run. 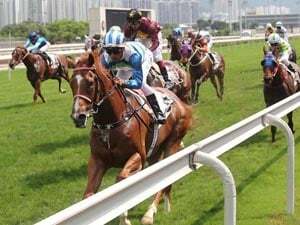 Forsman, who trains in partnership with Murray Baker, said the son of Pins was on a path towards the Gr.1 Al Basti Equiworld Dubai New Zealand 2000 Guineas (1600m). “He was good in his trial, but I think he is still probably a run behind,” Forsman said. “I’m expecting him to run well tomorrow without expecting too much. As long as he goes a good race, I think the Hawke’s Bay Guineas will be more his race with this run under his belt. 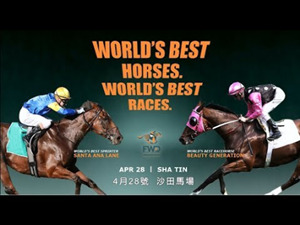 Madison County is raced by the China Horse Club and had just two starts as a juvenile and was a winner at Hastings in April. Bagalollies, the newly crowned New Zealand Broodmare of the Year, has given birth to another quality Tavistock colt at Highden Park. The colt was born on Wednesday and Libby Bleakley, who owns the Manawatu boutique thoroughbred farm with husband Sam, said his arrival was a relief. “He was 17 days overdue, so we have been hanging out,” she said. “We could see the whole way through the pregnancy that she was brewing up a really good foal, the fact that she took the extra time to grow him out properly was appreciated by us. “We’re very happy with him. He was 60.5kg at birth, which is above average. By Tavistock, the colt is a full-brother to 2016 Hong Kong Horse of the Year Werther, multiple Group-placed mare Milseain and Gr.3 New Zealand Cup (3200m) winner Gobstopper. Bagalollies will return to Cambridge Stud this season to be covered by Tavistock. Zed Em was being toasted on both sides of the Tasman when he was hailed as the King of Oakbank at the popular South Australian meeting on Saturday.